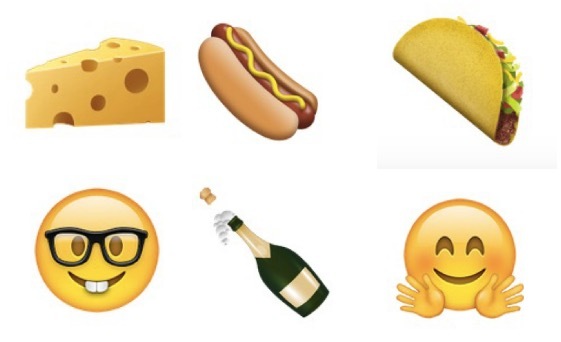 An update coming to Android Nexus phones next well is bringing new emoji. Android’s SVP Hiroshi Lockheimer showed them off in a tweet announcing the update. The new icons are part of the Unicode 8.0 standard, which is already available on iOS. To support this, Android users will need a new keyboard and Google’s throwing in a new font as well, so there’s a full system update on the way next week. Lockheimer said on Twitter that he doesn’t want to “spoil all the surprises,” so it’s likely we’ll be hearing of some other changes to Android in the near future. Some of the new additions include a burrito, taco cheese block, unicorn, nerd face and many more. Nexus phones will be getting the update next week and it will be up to other manufacturers to decide when they roll it out. In the meantime, the applications for new emoji are rolling in to the Unicode Consortium ahead of the release of 9.0, which will be available in mid-2016. Hopefully Android users will be on 8.0 by then. Some of the pictograms in the running include, Mr and Mrs Clause, a pregnant woman, a snazzy looking partner for the dancing lady and a terrifying looking clown. Google dropped the ball when it came to emoji this year; leaving its users so far behind iOS means they’ve been seeing square boxes instead of tacos and unicorns. And now, even with this announcement, Android users are going to have to persevere a little longer.